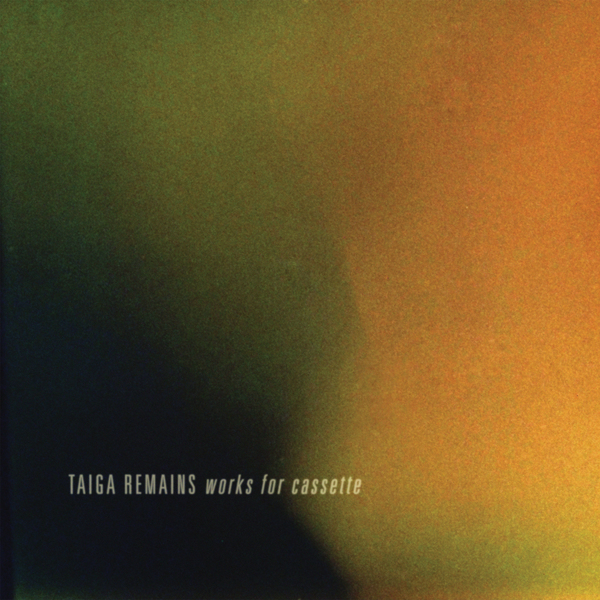 San Francisco's Helen Scarsdale Agency compile Alex Cobb aka Taiga Remains' out-of-print tapes, 'Thereafter' and 'Beneath The Weeping Branches' on vinyl for the first time as 'Works For Cassette'. Originally issued in 2008 on the Arbor and Ekhein labels, they remain some of Taiga Remains' most affective pieces of work and well warrant reappraisal as the Students Of Decay label boss has now moved into slightly different spheres under his own name. 'Beneath The Weeping Branches' gently radiates three pieces of solemn solo guitar submerged in plangent FX marking spectral ground between Loren Connors and Grouper, whilst the two slightly longer pieces of 'Thereafter', recorded live at home in the early morning , late February 2008, are glacial drone-scapes rending lush harmonic overtones.